101 Websites for Science Teachers « Adafruit Industries – Makers, hackers, artists, designers and engineers! 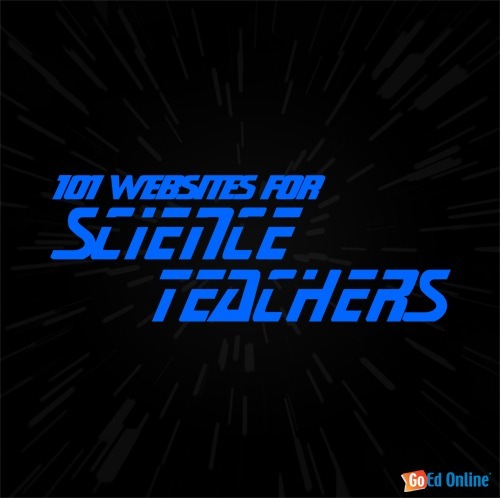 101 Websites for Science Teachers. Boldly go where no science teacher has gone before! Your continuing mission: to discover useful new sites, to integrate them into your lesson plans and to giggle at this corny Star Trek reference. Silliness aside, my love for science grew from watching the crew of the starship Enterprise warp around the galaxy as they encountered previously unknown phenomena, worlds and civilizations. I thought the notion of discovery was really fitting for this post—so, with that said, I hope you come across something that excites your students about science. Now, set a course for the end of this list—warp factor 9. Engage!